Hey y’all. It’s been a hot minute, hasn’t it! As you probably know, my time, energy, efforts, and 98.4% of my mental capacity has been transferred from this beautiful site before you to another beautiful site, POPSUGAR Fitness. In my past year there, I’ve written over 2,000 stories, leaving very little time, energy, or creativity left over for my beloved blog. 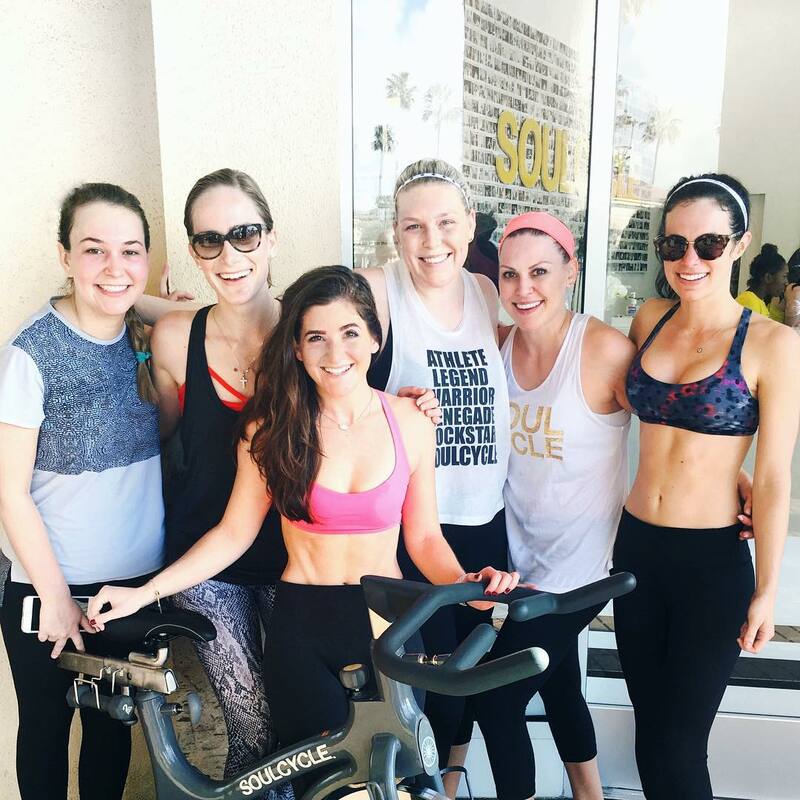 soulcyclin’ with the squad on new year’s day!! That said, I’m not stopping (hence, here we are today!). I miss you guys! I miss beauty & the beach. It’s been a diary and creative outlet for me for so long, and also a way to share my personal struggles and triumphs to hopefully inspire you guys and spark a conversation. So let’s get into it! Challenges and changes, this past year (ish) that I’ve been MIA, what’s going on (including some fun news! ), and fun things you guys should try. Ready? Of course I’m starting out with exercise! There have been some changes to my standard routine (which used to primarily be running and yoga). My journey here started with running — and I’ve admittedly been running less than I’d like. That said, I have a race coming up that’ll get me back outside! More on that later. Plus, the weather is finally calming down from the rain and the sun’s coming back… so that means more light hours for outdoor running. I fell in love with SoulCycle for real this past year, and I go ALL. THE. TIME. It became a release, a therapy, catharsis, community, and so much more to me. It is one of my life’s greatest joys. And yes, I pony up the now $32 per class. All my money goes to exercise. Speaking of which, I’m no longer at Equinox (I miss it terribly… and the Kiehl’s, and what it did for my hair), but with ClassPass (thanks to my mom’s Christmas present to me! ), Soul, running, and (up next) BARRY’S, I really don’t even have time to go to the gym, nor could I afford it. Maybe someday when I’m making big bucks I shall return to the glorious eucalyptus-scented halls. Miss u, bae. Barry’s Bootcamp. You guys. YOU GUYS. My newest full-blown stage-V clinger obsession is Barry’s Bootcamp. Was I too terrified to go that I waited an entire year to try my first class? Yes. Did I think it was going to be a bro-style militant aggressive workout? Yes. I was wrong. It’s amazing. It’s SO fun, the energy is so uplifting and incredible, and it PUSHES you. So much so, that I broke an insane mile record. More on that later, too. Also my obsession? Their Fuel Bar shakes. I try a new one every week but now I’m hooked on their Cin Life cinnamon protein shake; it tastes like a cinnamon toast crunch milkshake. Megaformer. I tried reformer and megaformer Pilates for the first time this past year — Core40 and BodyRok are my favorites right now! I try to go once a week. The slow, controlled, ultra challenging classes are great for building strength. 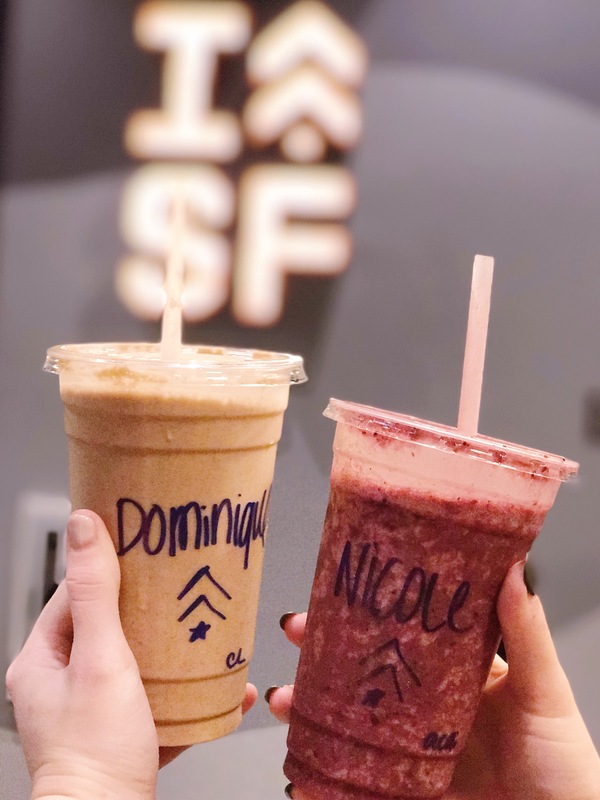 Other classes I’ve loved — boxing at HIT FIT, kettlebell at Swing, Pound at Crunch, Yoga at Yoga Flow in the Marina (their studio is like a bright, light, airy treehouse in the clouds I can’t get over it) and Ritual in SoMa, and barre at Pop Physique. 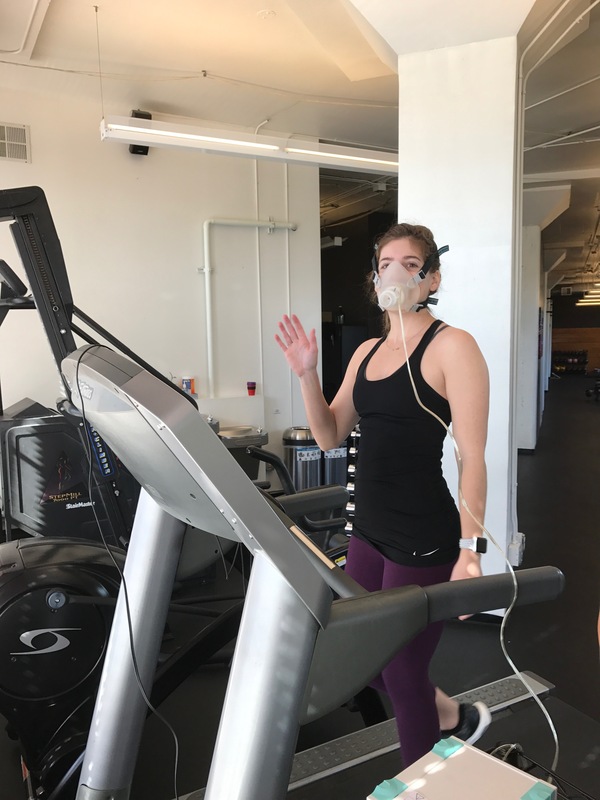 Some other cool fitness ish I’ve been up to lately — got my VO2max assessed at DIAKADI with my friend Brittney, then had an awesome P-DTR session which is a new kind of physical therapy. I’d get into it now but that’d be like another year-long post in itself. I’ll update on that later. I just got a Polar chest strap to start monitoring my heart rate and seeing how to get the best workout for my body. Some cool things have happened since we chatted last. Here’s the gist of it. I worked a lot, and got recognized a lot for some POPSUGAR stories I wrote, which was beyond exciting for me. Check out a few of my favorites — APL sneaker review, effects of overtraining syndrome, and an interview with a woman (who is now my friend!) who lost over 100 pounds. There are a few more but like, I’m not tryna bombard u rn. I ran a 10K with my mom, had another Coronado island birthday party, went to Outside Lands, did a half marathon across the Golden Gate Bridge, and met Kayla Itsines. Alsoooo…. many of you know that my fastest mile used to be 15 minutes. Right? Remember this? It was not so long ago. Well, I ran my fastest mile EVER at Barry’s a few weeks ago on Super Bowl Sunday… IN EIGHT MINUTES. SERIOUSLY! I almost went into cardiac arrest but I DID THE DAMN THING and I did it while listening to Britney Spears. Possibly another reason why I love Barry’s. 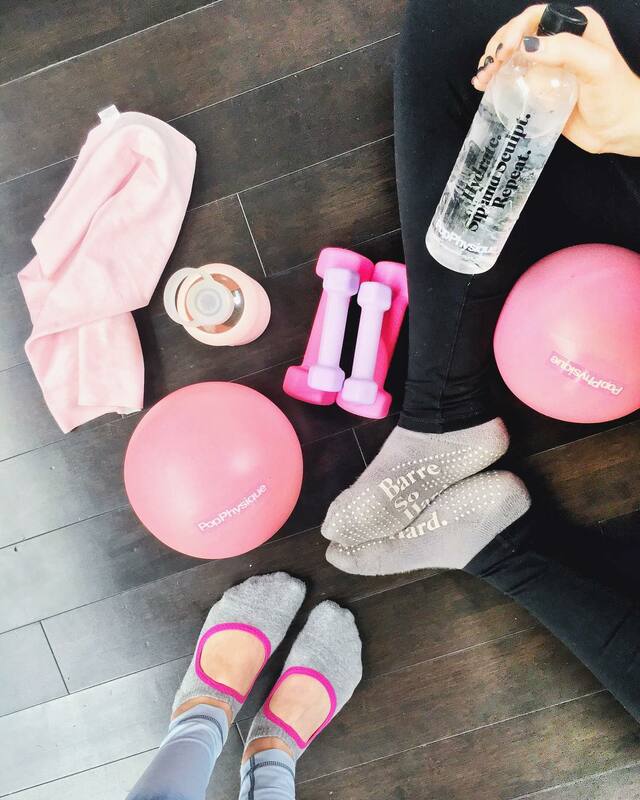 Through my job, I found a fitness community and brand that I am now FULL FLEDGED obsessed with (yes, just like Barry’s) — Tone It Up. You might be thinking, GIIIRL how tf did you not know about TIU? And I would say, dude I know, idk, crazy right? TIU is like… me in a brand. Everything is pink, seafoam, seashells, beach workouts, being in a bikini, mermaids, super friendly, overexcitedness, smoothie bowls, etc etc etc. I fell in love with their community and the women they attract to their program; I love their nutrition plan and recipes and protein powder; I ordered like all of their exercise equipment…. I’m hooked. I love them. I also started doing my very own SnapChat series on @popsugar, “You Glow Girl.” It happens every other Thursday (the next episode is 3/9) and I test out different fitness and wellness trends! Gonna get trainer CERTIFIED. EEEEEEE. My new year’s resolution this year was to get certified in at least one field of wellness (specifically fitness and nutrition). I’m so excited to share that I started the process of studying for my CSCS certification through the NSCA! Brain is gonna get soooo swole. I don’t have plans of becoming a trainer myself, but I’m super excited to be more educated in fitness! To me this is like getting a minor in exercise (not sure they had that at USC tbh). I’ll be studying a sh**ton over the next few months! Big Sur International Marathon (10.6 mile race). My race bae Arielle and I are heading to gorgeous Big Sur together again at last, and this time it’s not a pit stop on the way to a race — it is the race! We’re running the 10.6 mile leg of the BSIM on April 30… so we’ll be doing more training in the coming weeks! Dare to Bare. On May 20, I’ll be riding a SoulCycle bike outdoors, half naked, twice — to raise money for middle school girls in disadvantaged communities. We’re funding body-positive programs to help young women learn to love themselves. If you’d like to learn more, participate, and help out, click here. I love you and appreciate your support. Marathon..??? I made a second resolution … to run a marathon. I know. A full one. I know. I’m insane. I’m scared, too, trust. Will I make it happen? I mean I hope so! I’d hate to make a joke of myself and go back on my commitment. Shooting for NYC in November — so get ready. Sweetgreen! I just signed on to be an ambassador for Sweetgreen — delicious, locally sourced salads. I’ve been eating there with my friend Victor so much and telling so many people about it already, that it only made sense for us to start reppin’ our fav lunch spot. If you’re in SF, LA, NYC, or an area with a location, you can get $15 of FREE SALAD on ya girl, here. It’ll have you download the app, and the credit will automatically be applied to your account. These past few months have been nuts! Along with some amazing experiences, learning experiences, and more, I definitely had my share of struggles. I got my first stitches (long story, involves bagels and a ninja sword), am still learning how to balance that whole “work-life” thing people talk about, and have been focusing on managing my health. Obviously, you guys can tell my biggest challenge here was not managing enough “me time” to keep up with my blog. Hoping to counter that more this year and keep you updated on all my fun new discoveries, and I’m sorry for being so MIA. It’s been on my mind so much! I got some knee injuries … after my last race (the SF half, after the Suja half in SD), I got hit with a really terrible knee pain in both knees — particularly my left. As you know, I’ve never been an athlete and didn’t do sports growing up, so this pain was really unfamiliar — and terrifying to me. It turns out, the impact from those back to back races last summer was too hard on my patellas, and I got patelloformal syndrome. I’m still working on rehabbing them and getting my legs stronger to protect my joints. SADS — It’s hilarious to me (in a f**ked up and ironic way) that the acronym for seasonal affective disorder is LITERALLY SAD. Cold, cold weather in SF and months of rain did not do wonders for my mood — my best cure for it was a few trips home to the sun, tons of hot and sweaty exercise (as per ushe), journaling, and self-care. Apparently global warming is not doing anything for SF so I’m going to have to adjust. Crazy stomach problems took over a lot of my last year. I went through a lot of tests and treatment to figure it out. You can read about the whole journey (have fun with the trolling comments, lol) on POPSUGAR. For Lent this year, I’m giving up sugar and alcohol. This hasn’t necessarily been a challenge over the past few months, but I figured I’d update you guys. I don’t really drink, so the booze thing won’t be too hard, but the sugar part — I’m talking processed and added sugar, sweets, etc, not fruit or like, the natural carbs in something — will be the biggest challenge for me. I f**king love chocolate. And ice cream. And waffles. And brownies. UGGGHHHHH ANYWAY. I couldn’t leave this post without updating you on some of my current favorite things. These past months have opened up more doors to natural wellness and healing. I’ve been loving all things crystal, including my crystal water bottle that I’m so obsessed with. I see an acupuncturist/naturopath almost every week for different treatments — she helps with stress and mood, digestion and bloating, hormonal issues, and even my knee injury. Sneaker update: try APLs, adidas UltraBoostX, and Nike FlyKnit Lunarepic 2. Those are my current favs. Activewear update: try Ultracor leggings, Tory Sport, Lulu’s Align pants, and the J.Crew x New Balance collab. I’ve been putting Vital Proteins collagen all up in my food. It’s got protein, and is good for your joints and skin. It doesn’t taste like gross protein powder (many of their products are flavorless), and it just blends right in. You can even make pancakes and coffee with it. SoulCycle, if you haven’t already! So there it is. Some cool stuff, and a maj update on my life. What’s going on with you? Do you have questions for me? What do you want to hear more about? Comment, DM, go for it! Miss you guys!! !